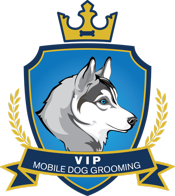 VIP Mobile Dog Grooming is a family owned and operated business with over 20 years in the pet grooming industry. Our professional pet stylists bring the best pet spa treatment to your doorstep. We will groom any type of dog with the utmost care and attention. Give VIP Mobile Dog Grooming a call today at (818) 646-6652 to set up an appointment for your dog grooming needs.